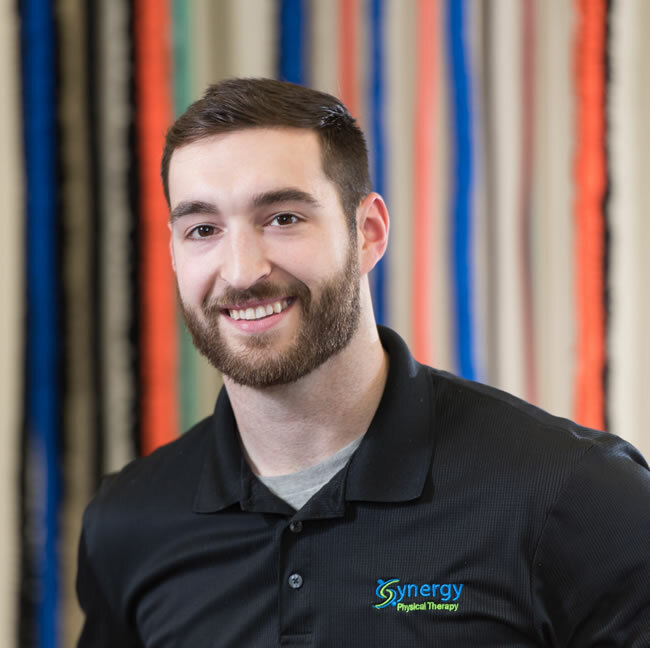 Dr. Kevin Chevalier has worked at Synergy Physical Therapy since 2016. Kevin is a graduate of American International College’s Doctor of Physical Therapy program in 2016. He enjoys working in a clinical environment that facilitates creativity and allows for the opportunity to learn new skills every day. Kevin is currently pursuing a certification as a Strength and Conditioning Specialist (CSCS) through the National Strength and Conditioning Association. Kevin’s interests outside of the clinic include finding ways to stay active and exercise such as participating in crossfit, golf, running, and hiking, as well as watching Philadelphia Eagles football, and spending time with his family and friends.